New duo Sister City (Jamie Kallestad + David Lankford) play a matinee show at Gallery 263! All ages, $10 suggested donation. 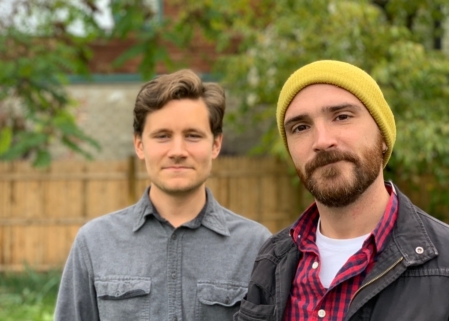 Sister City is a collaboration between singer-songwriters Jamie Kallestad and David Lankford, who hail from Duluth, Minnesota and Duluth, Georgia respectively. They both grew up singing in church and then discovered rock and roll and folk music, in that order. Despite leading seemingly parallel lives, they don’t like any of the same bands.